The Konza Prairie Biological Station is closer than ever to closing its gates to visitors due to continuing violations of the rules, possibly as soon as before the end of the semester. 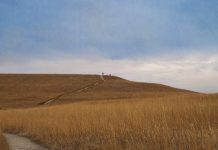 Briggs said the rules are simple and posted on both the Konza’s website and at the trailhead, adding that the rules essentially ask that the public be respectful of the research being conducted at the location. A common misconception that might be leading to the rule-breaking, Briggs said, is some people believe the Konza is a public access area. 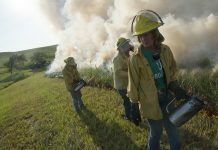 The land is actually privately-owned by The Nature Conservancy and is operated as a field research station by the division of biology at K-State. The Konza is home to 173 current research projects. According to the Konza’s website, about $28 million is associated with on-site research. “I don’t think I will wait until the end of the semester to decide if we are closing to the public or not, because our research is going full steam by middle of May or June,” Briggs said, adding that he will make his decision based off hard data. Briggs said if the trail were to close, he would not expect many problems with people disrespecting the closure of the trail. “I wouldn’t say they would 100 percent avoid the place, but over time word would get (out) that the trail is closed and folks would go other places,” Briggs said. The Collegian has reported on the issue going as far back as April 2015 when the Konza first brought rule-breakers to public attention. Articles published in March and April of 2016 reported that visitors were not responding to the Konza’s rules, and the area was in danger of being closed to the public. In March of this year, the Collegian published an article stating that less rule-breaking allowed the Konza to remain open to the public. That is no longer the case. When Briggs brought up the continuing rule-breaking along the trail in March, The Nature Conservancy suggested that Briggs set up trail cameras, commonly used for game surveillance by hunters, for security surveillance. The trail cams were set up on March 23 in conjunction with posted signs informing visitors that they were on camera. 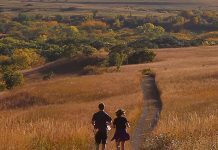 On April 11 and again on Monday, Briggs posted on the Konza Prairie Nature Trail’s Facebook page trail cam evidence that the rule-breaking had not stopped, stirring a reaction in the comment section. 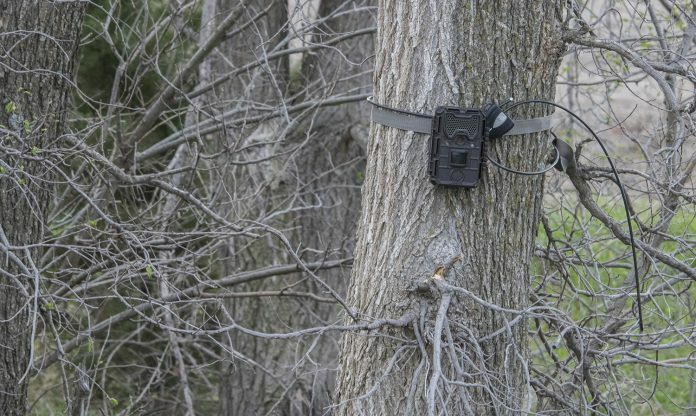 Briggs said there are not two sides to the argument, either those for or against the trail cams, or those for or against the closure of the trail. “It is private land; it is set aside for research, and we let people walk on a certain part of it and ask them to follow a few simple rules,” he said. The cameras are no different than when people go to a bank, private store or into Walmart where video surveillance is used to catch people who are acting inappropriately, Briggs said, who also said he wishes it had not escalated to this point. Although K-State Police oversee patrolling of the Konza, police Lt. Bradli Millington said its distance from campus makes that difficult. Millington added that just because something is a rule does not make it a law. Millington said he hopes with the posting of the trail camera photos, people will realize the importance of following the rules. He said it comes down to common sense. Blake Walter, graduate student in geography, said that seeing the Facebook post of people violating rules at the Konza angered him because of the blatant disrespect he saw. For people who need a place to run their pets or go after dark, Walter said he encourages them to check out other options in Manhattan, such as Washington Marlatt Memorial Park, which is sometimes called “The Little Konza,” or Linear Trail, which connects to most of the town. Emily Elfers, freshman in animal sciences and industry, said she has been to the Konza and followed the rules during her visits. She said that although people might not be behaving vindictively with the intention of harming research while wandering off the trail, research could still be harmed by accident. Both Elfers and Walter said they hope the community gets the message before it is too late and the site is closed to the public. Walter is also concerned about the research that is conducted at the Konza. While there were thousands of photographs taken by the trail camera in the last three weeks, Briggs said that unfortunately it only takes a few rule-breakers to ruin weeks, months or years of research, including the research conducted by Walter Dodds, professor of biology. Dodds said his research depends on the fact that King’s Creek is not disturbed by humans. King’s Creek is the very creek that trail camera evidence showed rule-breakers climbing out of. Dodds also said that when he hears of people brining pets to the trail, his concern is that when dogs are off-leash they commonly run to water, which could stir up his research. Briggs said there are no procedures for how the Konza handles service dogs on the trails, as he has never been contacted on that issue specifically.